UPDATE: The restaurant’s owner has emailed to let us know that the restaurant was already reopened for dinner last night and the issue has seemingly been resolved quickly. (Hopefully for good). 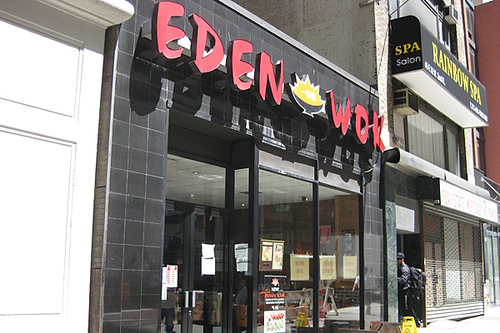 One of the last kosher Chinese restaurants, Eden Wok, in NYC has closed (possibly temporarily?). 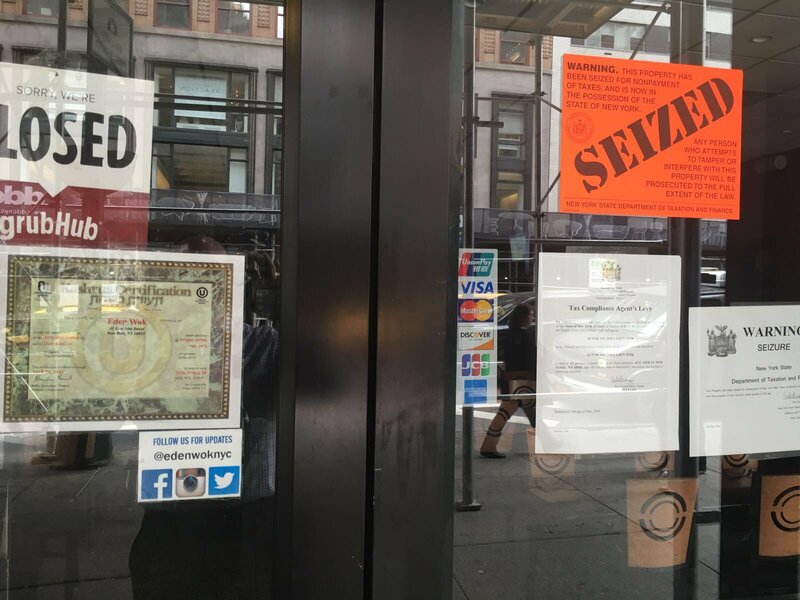 The restaurant has been shut down by government officials, so it may or may not reopen. Time will tell. This closure affects the YU/Stern community in midtown, and those that are kosher observant who work in midtown.